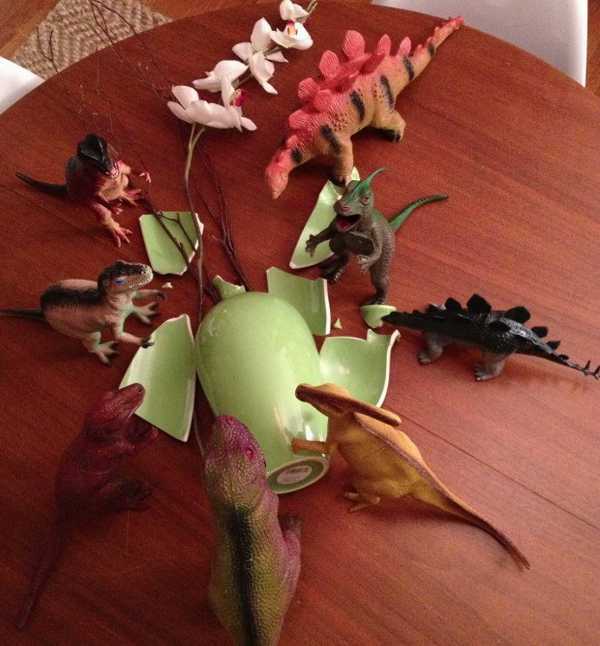 The creativity of some parents astounds me. 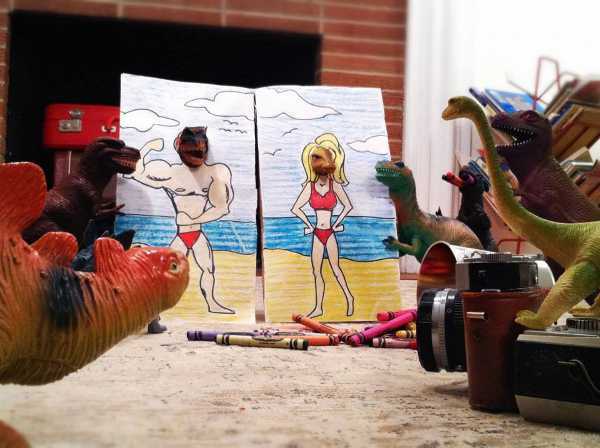 This very cool couple spends an entire month each year trying to convince their children that their toy dinosaurs come to life at night. 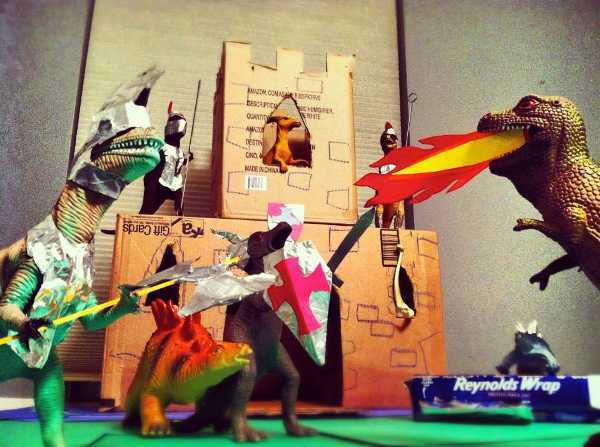 With the phenomenon of Dinovember going viral, Refe and Susan Tuma have been labelled the coolest parents in history. 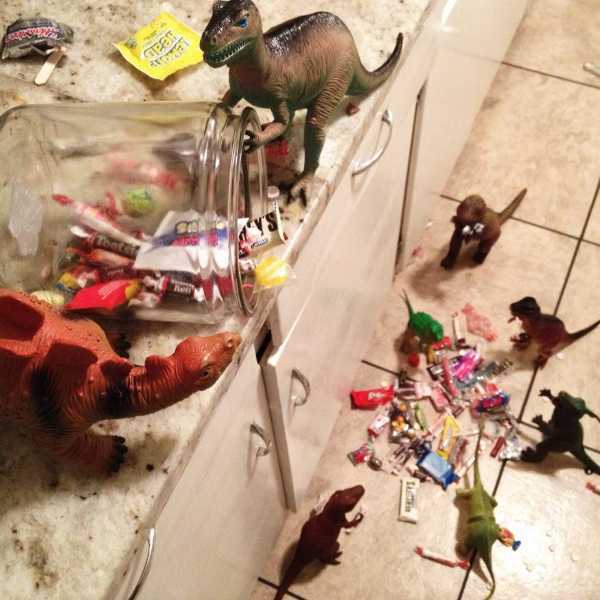 The American couple devote each night during November to concocting incredibly intricate scenarios around plastic toy dinosaurs. 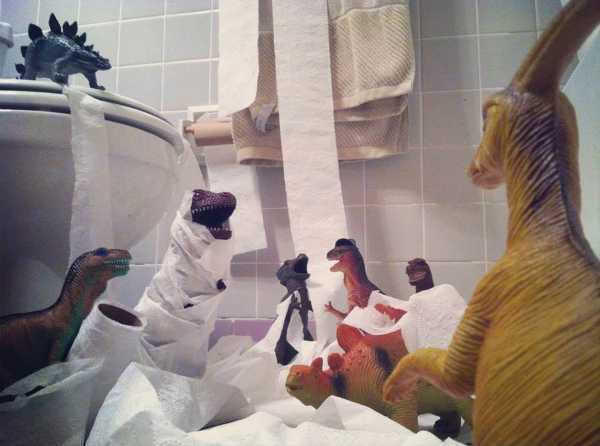 And each morning when their children wake, they discover what their Jurassic plastic friends have been up to. They’ve come up with some amazing scenes, which are frozen in time, as though the children have literally caught the toys in the act. 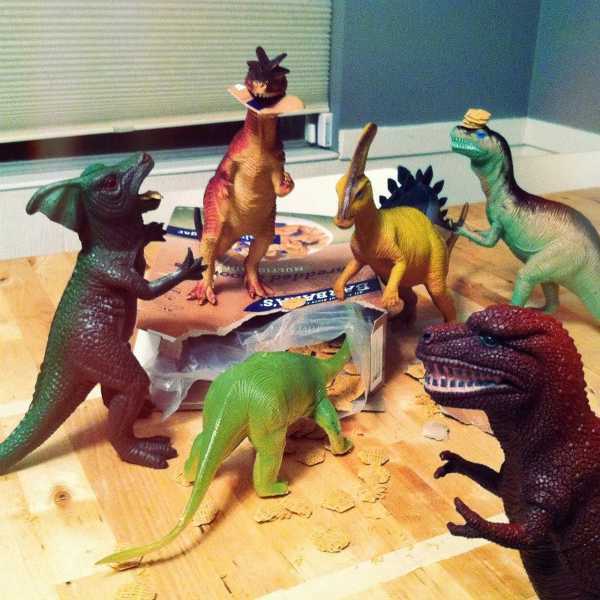 There are simple scenes, like the dinos feasting on breakfast cereal. 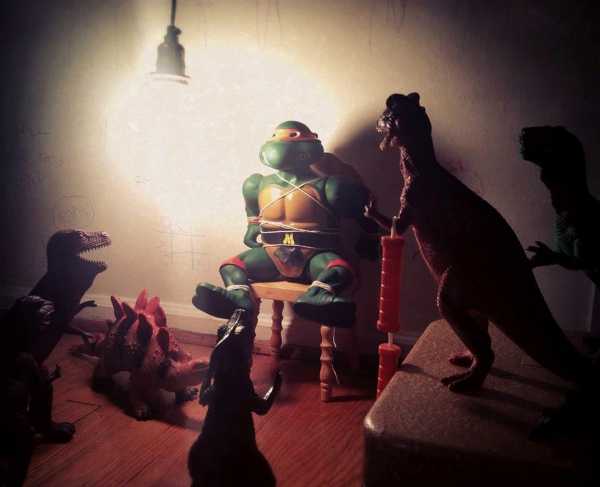 And then there are fabulously foolish moments of mischief, like the interrogation of a Teenage Mutant Ninja Turtle. The detail is superb! 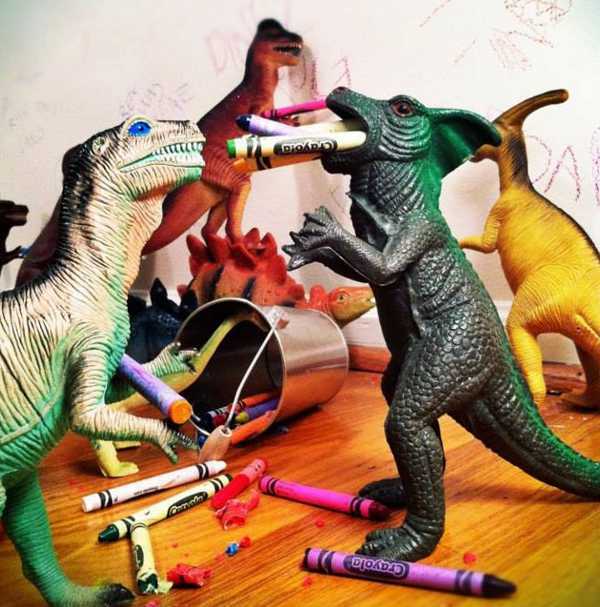 Some nights the dinos get up to no good, sometimes they’re up for a bit of old-fashioned fun. 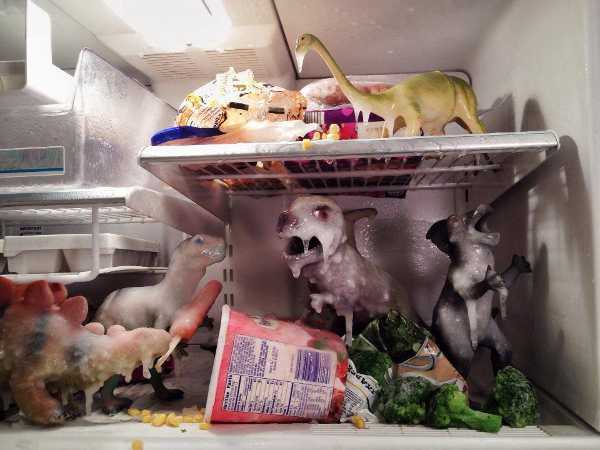 But my absolute favourite is the accidental ice-age – love it! It’s a great play on the Elf On A Shelf idea that’s become a favourite for many families at Christmas. 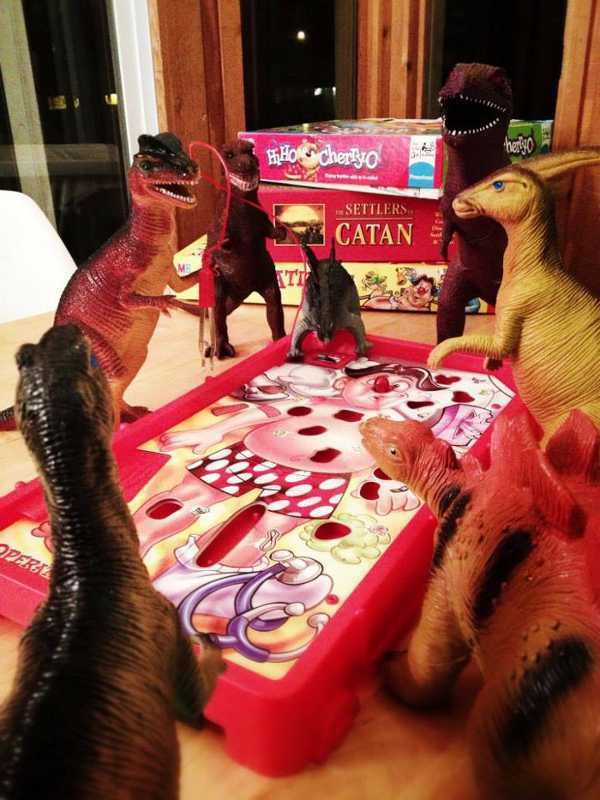 The premise behind Dinovember is fun that doesn’t revolve around technology. We think it’s worth applauding. Do you do anything similar for your children? Let us know in the comments below.